Pause and consider for a second all that must happen when the decision is made for an older adult to stop living independently in the home and move to a care facility. Loved ones are suddenly in the position of unwinding, organizing, and administering nearly every angle of the older adult’s life, most of which has been set in motion decades before. With more than 40 million people aged 65 or over in the U.S. and the increasing geographic separation between parents and their grown children, it’s no surprise that an invaluable service has emerged to help with the move process. That service: senior move managers. Mary Kay Buysse is the executive director of the National Association of Senior Move Managers (NASMM). How did NASMM come into being? 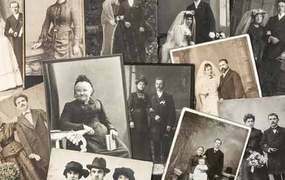 Mary Kay Buysse, executive director: The NASMM story begins with modern technology meeting old-fashioned relationship-building. In the late 1990s, in various corners of the country, a few inspired people quietly began helping older adults move from their longtime family homes into assisted living facilities, continuing care campuses, apartments, and other living arrangements. These Senior Move Managers, as they called themselves, worked on their challenging new businesses all day – sorting and packing the client’s personal possessions, space planning, hanging pictures, organizing estate and tag sales, and distributing goods to charity and adult children. Then, late at night, these same individuals would surf the Internet, hoping to locate others who shared their passion for transitioning older adults. In October 2002, 22 high-spirited individuals from 16 companies came together as strangers in Arlington, Virginia, to discuss developing a professional association specifically designed for the senior move industry. That long weekend of shared laughter and incredibly intense hard work resulted in the formation of the National Association of Senior Move Managers (NASMM). These 22 founding members crafted a mission statement for the new organization and identified the various tasks required to transform their ideas into reality. Over that first winter, assigned teams worked on the daunting responsibilities of board formation, membership design and process, not-for-profit incorporation, website development, database management, member education, and member benefits. The founding members’ shared vision began to form a single, compelling identity – NASMM. In November 2003, a defining moment in NASMM’s history occurred as the board and members proudly hosted the first annual NASMM conference. Sixty-five people from 48 senior move companies assembled in suburban Philadelphia for a weekend of professional education and networking. Needless to say, more stories were told, more laughs were shared, and colleagues soon became friends. Since that time, membership in NASMM now numbers over 800 Senior Move Management companies throughout the United States, Canada, and abroad with our annual conference attracting 400 participants each year. NASMM will continue to grow and flourish as it assumes an increasingly larger role in shaping the future of the Senior Move Management profession. The NASMM website defines Senior Move Management as the profession that assists older adults and their families with the emotional and physical aspects of relocation and/or “aging in place.” What does this mean in practical terms? MKB: Practically speaking, Senior Move Managers perform the many, often-overwhelming tasks that accompany a major life transition. Senior Move Managers take on the difficult activities that families previously conducted for their loved ones but are no longer willing or able to do: the measuring, planning, downsizing, decluttering, donating, sorting, packing, coordinating, moving, resettling, unpacking, hanging, stocking, etc. The full sum of these activities is time-consuming and terribly stressful for all concerned. Senior Move Managers, on the other hand, hold the expertise and experience to make the entire process positive and even enjoyable. In the past, an older adult was moved from a home of 40 years to a new assisted living apartment over a weekend. A dumpster was hauled onto the driveway and black Glad bags were called into service. The move happened quickly. Heated arguments ensued and family regrets quickly followed. The transition was harsh, and the older adult was completely left out of the process. With a Senior Move Manager, the older adult plays a key role in the process, which is conducted in a thorough and thoughtful manner. Every contingency is considered, and the attention to detail is astounding. No regrets! The transition is completed with the family’s support, love, and harmony intact. Most importantly, the older adult feels ownership in the final result – key to a successful transition in later life. Hiring a Senior Move Manager is a win-win for the entire family! As an organization, what role does the NASMM play? Is it advocacy? Training? Awareness? MKB: NASMM is the nonprofit trade association supporting the Senior Move Management profession. Traditionally, trade associations are the heart of their respective professions. A trade association represents all of its members with a single, unified voice. NASMM is no exception. Provides membership services and thought leadership for its 800-plus members. Provides networking opportunities for its members. Functions as the trusted source for industry information and advocacy. Serves as the marketing and promotional engine to build awareness of Senior Move Management services via numerous (national and regional) media interviews and through our highly optimized www.NASMM.org website. NASMM also uses social media extensively. Communicates with its members via frequent e-Alerts; the robust NASMM member listserv; Moving Matters, the bimonthly online membership magazine; and social media channels. Offers educational meetings and tools, including the NASMM Annual Conference, online NASMM University seminars, and business development webinars and teleconferences. Sets the professional standards for Senior Move Management through the NASMM Codes of Ethics. Establishes and recognizes standards of practice in the areas of Senior Move Management operations and client services though NASMM’s Organizational Accreditation program, NASMM A+. Instructs Senior Move Managers in the areas of best practices and industry standards through the FrontDoor Senior Move Management Business Development Training Program. Bestows awards and recognition on Senior Move Management leaders through the Circle of Service program, the Organizational Accreditation program, and the Margit Novack Award for Outstanding Contributions to Senior Move Management. Using a Senior Move Manager is a new idea for many people. What has driven the need for Senior Move Managers in our society? MKB: The numbers tell the story. The U.S. population aged 65 and over will jump nearly 80 percent when the baby boom generation retires (from 2010 to 2030). By 2030, older adults will account for one-fifth of the total U.S. population. Did you also know that Americans age 85 and above comprise the fastest-growing segment of the U.S. population? Today, many families are geographically dispersed and adult children are often not able to help with the moving process due to distance, career, and family obligations. For these family members, the barriers are time and space. For others, the barriers are more complicated and emotional. For example, many families find them themselves (finally!) confronting lifelong, difficult family dynamics during this time. Also, many aging adults have no surviving children, or, increasingly, their children are older adults themselves. If illness or death precipitates the move, the family is likely already drained both emotionally and physically. They need help. Senior Move Management has emerged to fill all of these gaps. What are the most commons reasons people turn to Senior Move Managers? MKB: Older adults making a transition have usually not moved in 30, 40, or 50 years and need to downsize considerably. The organizational and physical tasks associated with planning and implementing such a complex move can be overwhelming for the entire family. 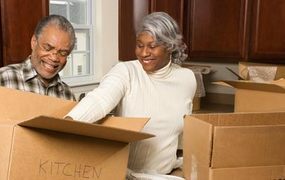 Senior Move Managers minimize the chaos and stress associated with moving by addressing all aspects of the move process. They are responsible to for creating and executing a seamless action plan, customized to the client’s wishes. With the gentle and expert guidance of an experienced Senior Move Manager, older adults and families make the key decisions without the emotional and physical distress that can follow. As a result, they avoid the costly mistakes and remorse that often accompany such major lifestyle transitions. What are the “unsung” services commonly offered by Senior Move Managers? That is, what useful service(s) are seniors and their families just unaware of? Some Senior Move Managers provide these services directly; others function in more of an oversight or management role. Senior Move Managers have extensive, practical knowledge about the costs, quality, and availability of various local community resources. Additionally, through the NASMM@HOME program, Senior Move Managers can assist individuals who choose to stay in their own homes but simply require expert organizational skills and solid knowledge of “aging in place” concepts to help them achieve their goal of . . . not moving anywhere, but improving and enjoying a new quality of life! How does someone become a Senior Move Manager? What specific training or certification is required? MKB: Senior Move Management professionals – Senior Move Managers – have backgrounds in gerontology, social work, healthcare, nursing, and psychology; others come to this industry from the corporate world of project management, technology, accounting, or marketing. 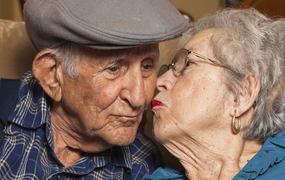 Senior Move Managers require a profound commitment to connecting with older adults and a desire to perform meaningful work. While training is not required, we strongly recommend you complete a Senior Move Management training program. How do you estimate? What type of contract should I use? What marketing tools are most effective? What happens if I suspect my client is confused or may be suffering from dementia? These are just a few of the hundreds of questions new Senior Move Management business owners have when launching a new business. NASMM provides the profession’s most comprehensive and recognized Senior Move Management and Business Development education through its FrontDoor Training Program. The FrontDoor Senior Move Management and Business Development Training Program is the culmination of years of expertise in the areas of Senior Move Management, aging services, and small-business marketing. This self-study program requires approximately 25 hours to complete and explores the most essential skills in Senior Move Management, marketing, and understanding and working with older adults. Additionally, the downloadable NASMM University program is continuing education designed to meet the needs of busy Senior Move Managers. In the audio seminar format, NASMM University seminars provide NASMM members with the solutions they need to effectively deal with their profession’s challenges. Lastly, regarding certification: NASMM is a trade association and, as such, the company is the member, not the individual. Thus, in trade associations, Organizational Accreditation functions as the highest standard of professional achievement. We are proud to announce NASMM’s Organizational Accreditation program will launch in Summer 2013. Lastly, what is the ultimate goal of NASMM? MKB: NASMM’s mission is to facilitate the physical and emotional aspects of downsizing and/or relocation for older adults, to increase awareness of the Senior Move Management profession, to establish a national referral network, to enhance the professional competence of members, and to promote the delivery of senior transition services with compassion and integrity. Can I Travel While Undergoing Chemo? Life has never been more full of possibilities for older adults. Make sure that you're having fun, eating well, and seeing the sights. The material on this site is for information purposes only and is not a substitute for legal, financial, professional or medial advice or diagnosis or treatment. © 2007-2018 GilbertGuide.com. All rights reserved.